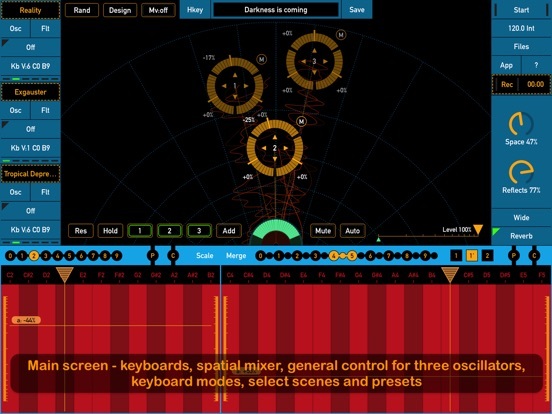 SynthScaper, from Igor Vasiliev, was updated with a lot of new options to directly control how the app interacts with MIDI keyboards. ● Sequencer evenly placing steps in oscillator voices. ● Markers of actual values for Effects 1,2 on main screen. ● Quick switch between oscillator control panels. ● Added control for MIDI keyboard velocity mode. ● Added control for MIDI keyboard velocity curve. ● Added control for MIDI keyboard modulation wheel. ● Modulation wheel on MIDI keyboard supports defaultly. ● MIDI keyboard velocity is sent to each voice. ● Changing font size in description panel. There's also a new demo on Igor Vasiliev's YouTube channel showing off the presets!